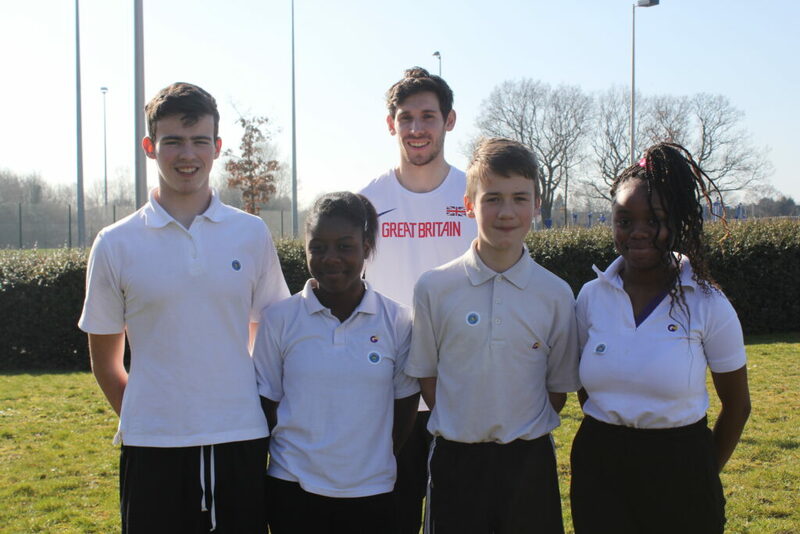 Birmingham-based High Jump champion David Smith, an athlete from Sports For Champions UK, shared some top tips on how to succeed with over 50 Year 9 students at Grace Academy Solihull. David Smith, who came first in the High Jump at the 2017 Scottish Championships, and second in the 2017 British Championships, put students through their paces on a fitness circuit used to train athletes competing at the top level in their sport. “You should try and achieve something no matter how difficult it is. I did sport when I was younger, and then went on to university, but I was still good at High Jump, so I decided to focus on this. I moved to Birmingham five years ago, and train in Perry Barr. “You have to be realistic about your skill level to be a professional sports person, and it can be very draining mentally when you put your whole life on hold to pursue your dreams. My life revolves around High Jump and, even if you get injured, you have to remember that there will always be another championship. “You need tough mental capacity to overcome the challenges you will face, and you will need to be very adaptable. You may have a four-year Plan A in the run up to the Olympics, but you may end up following Plan Z by the time you reach your goal. “I really enjoy the training and travelling which is great fun. To be a great professional sports person you need resilience to carry on, despite the setbacks, and a strong work ethic. If you don’t train hard, then you won’t achieve high standards. There must be a balance between talent and commitment. Sports For Champions UK aims to put athletes in schools across the UK and Ireland, inspiring students to live healthier, more active lives and motivating them to achieve their dreams. Sponsorship enables the organisation to raise vital funds for the athlete, and also for the school they are visiting.